We have several great events coming up for the remainder of 2019 and into 2020 in both Atlanta and Boston! Check out the links below to learn more about each of these and how to get involved! 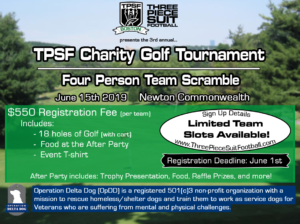 The 3rd annual TPSF Boston Golf Tournament will be held on Saturday, June 15th, 2019 at the Newton Commonwealth Golf Course! There are only 24 team slots available for this charity tourney supporting Operation Delta Dog, so sign up today! The Date for TPSF Boston 2019 has been set! 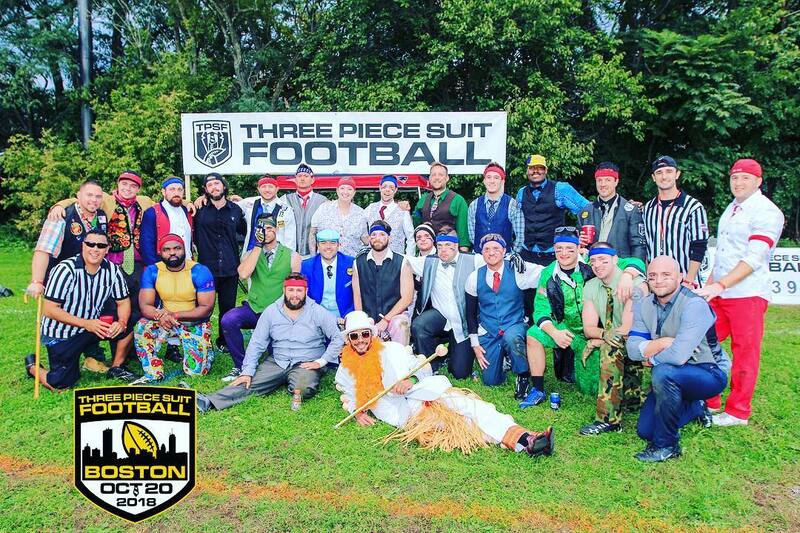 On Saturday October 19th at Rogers Park you will witness the most dapper football in New England! You won’t want to miss this entertaining and fun-filled event while also supporting a great cause. Once again, TPSF will be supporting Operation Delta Dog, a local Massachusetts charity that assists Veterans by training homeless dogs to be service animals for those Veterans in need! Many more details to come! Stay Tuned!